Tory Christensen by May 3, 2013. Click here to read the transcripts from the recent Facebook Chat, Blood Disorders & the 3 P’s (Preconception, Pregnancy, & the Postpartum Period): What Every Woman Needs to Know. Thank you for your participation in the Friends social media and communications survey. In response to your feedback we are pleased to offer the webinar, Real-World Social Media Stories to Strengthen Your Efforts, taking place on April 24 at 1pm ET. You will see presentations from Friends thought leaders who have successfully implemented social media strategies to enhance communications. There will be no sleepy Q & A session where none of the questions apply to your organization ‒this webinar is from the Friends, for the Friends. Come prepared and energized to learn and share! Click here to register. The CDC recently announced the opening of a docket to obtain information from the public on walking as an effective way to be sufficiently active for health. The information obtained will be used to frame an anticipated Surgeon General’s call to action on this issue. The notice can be found at www.regulations.gov. The 30 day public comment period ends Tuesday, April 30th. The notice requests information on ways to increase walking and community walkability. Please consider providing input to the docket and sharing this announcement with stakeholders who may also be interested. To provide input, go to www.regulations.gov. In the search box, type the Docket No. CDC-2013-0003. Recently, NCBDDD in collaboration with HRSA’s MCHB, the Association of University Centers on Disabilities and the Association of Maternal and Child Health Programs, hosted a training of the Act Early Ambassadors. Act Early Ambassadors are professionals with medical, child development, developmental disability, special education and early intervention expertise that help expand the reach of the “Learn the Signs. Act Early.” program. There are currently 25 Act Early Ambassadors, but educating the public about childhood development issues is no small task. To help raise awareness, we need organizations, professionals, parents and other individuals around the country to partner with CDC in these efforts. Click here to learn more about how to partner. To download and customize free materials, click here. The World Health Organization/South-East Asia Region (WHO/SEARO) has published a regional strategic framework for the prevention and control of birth defects. This is the first framework in the region designed to significantly reduce preventable birth defects within the region. Through CDC’s ongoing collaboration with WHO/SEARO, CDC was fortunate to support the work of WHO and Member States in the development of this framework and continue to work together to help move prevention and surveillance of birth defects forward in the region. Click here to access the Strategic Framework. 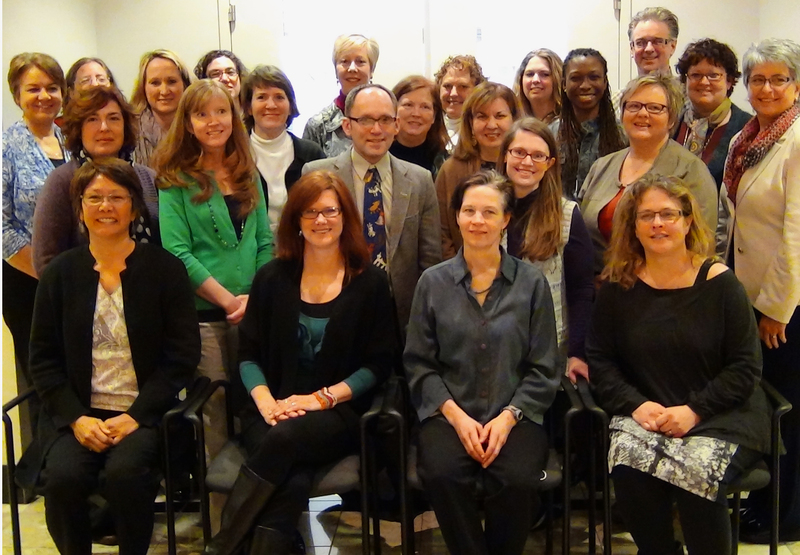 The National Birth Defects Prevention Network (NBDPN) held its 16th Annual Meeting at the Atlanta Marriot Buckhead Hotel and Conference Center February 25-27, in Atlanta, GA. 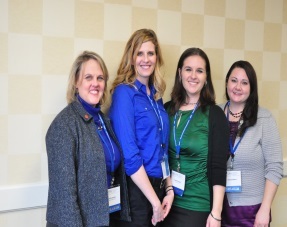 It was a joint meeting with the National Birth Defects Prevention Study (NBDPS). The overall theme of the meeting was Advances and Opportunities for Birth Defects Surveillance, Research and Prevention. The joint meeting drew almost 270 participants from across the United States, Columbia, Canada, Mexico and Argentina. NBDPN is pleased to provide free resource materials to promote birth defects awareness and prevention, including a New Birth Defects Awareness Campaign and public service announcement. Click here to view these materials. Dr. Tom Frieden, Director of the CDC, will meet with members of Congress and congressional staff on April 18. The bipartisan House leaders of the Congressional Study Group on Public Health* and the offices of Senators Tom Udall (D-NM) and Johnny Isakson (R-GA) worked with The Campaign for Public Health Foundation to organize this event. An initial member of Congress only meeting will be followed by a staff discussion with the Director. The CDC’s budget outlook, goals, the state of our nation’s public health infrastructure, the CDC’s plans to strengthen our public health system, as well as an update on the CDC’s efforts to collaborate with health care providers will be discussed. An open Q&A session will also be part of the staff meeting agenda. Dr. Frieden will also be in Washington on April 15 to meet with interested organizations at APHA’s CDC Coalition meeting. Partners interested in attending APHA’s gathering or the Hill briefing should contact the CPH Foundation staff for details. On March 26, in Birmingham, AL, NCBDDD partnered with the Alabama Autism and Developmental Disabilities Monitoring (ADDM) Network site, along with their local partner United Cerebral Palsy of Greater Birmingham, to host the 7th Annual Cerebral Palsy Awareness Day Program. The keynote speaker was Dr. Stephen Dantzig. 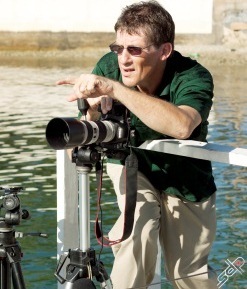 Dr. Dantzig is a professional photographer, author, school psychologist, and adult with cerebral palsy. CDC recently announced that Dr. Lisa Richardson joined the NCBDDD/Division of Blood Disorders as the Division Director on April 8, 2013. Dr. Richardson is a medical officer at the CDC. 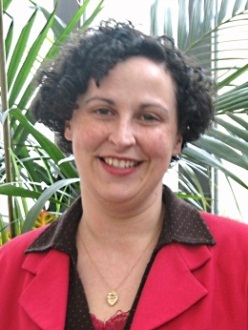 Dr. Richardson most recently served as the Associate Director of Science in the Division of Cancer Prevention and Control in the National Center for Chronic Disease Prevention and Health Promotion. Her previous research has focused on access to cancer care, systems of care, health-related quality of life, health disparities and racial discrimination in cancer screening and treatment patterns of care. 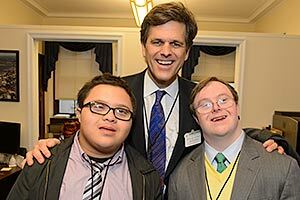 Special Olympics and Best Buddies participants and supporters converged on Capitol Hill on March 6, to meet with elected officials, urging continued federal support for programs that enhance the lives of those with intellectual and development disabilities in the areas of health, education and employment. Throughout the day, Special Olympics athletes and Best Buddies ambassadors from 41 states across the country met with their congressional delegations to advocate for services provided by Special Olympics and Best Buddies that transcend the playing field and transform classrooms, workplaces, and communities. Delegates advocated for support of The Eunice Kennedy Shriver Act of 2013. To read the full story, click here. · Sound Advice on Autism is a series of audio interviews with medical experts and parents of children with autism. · Autism: Caring For Children With Autism Spectrum Disorders: A Resource Toolkit For Clinicians now is available as a digital download or CD-ROM and includes tested screening tools, clinical fact sheets, and family handouts in both English and Spanish. · Autism Spectrum Disorders: What Every Parent Needs to Know is a new book that helps parents understand how autism is defined and diagnosed and provides information on behavioral and developmental therapies. During April, parents, caregivers and health care providers can visit www.aap.org/autism for free samples from the toolkit and to preview chapters from the parent book. Newborn screening is a vital state public health activity that relies on research and science based guidance from federal agencies. Screening detects conditions in newborns that, if left untreated, can cause severe lifelong disability, developmental delays or even death. Approximately 1 in every 300 newborns in the US has a condition that can be detected through newborn screening. This year marks the 50th anniversary of newborn screening in the US. Join us at the B-340 Rayburn House Office Building on April 17, 12:00 – 1:30 pm, for a lively discussion on the new and emerging research and technologies used to identify conditions and treatments; federal recommendations that influence state screening programs; the laboratory processes used to ensure the accuracy of newborn tests; tracking and surveillance of newborn screening and more. Speakers will include lead federal agency staff at HRSA, CDC and the Eunice Kennedy Shriver National Institute of Child Health and Human Development. RSVP to Khadijah Brown. To learn more about the event, click here. · What is Genetics? : A brief informational introduction to genetics. · Resources for Your Practice: Integrating Genetics In Your Practice provides a list of tools and resources that primary care providers can use with their patients. · Provider Education: Educational resources ranging from webinars to CME courses, to online tools and textbooks all targeted towards primary care providers. · When to Refer: Information that can assist providers in deciding when to refer to a genetics specialist; provides connections to specialists and regional and state resources. April is Autism Awareness M onth and in celebration, The Arc and Autism NOW invite you to join in raising awareness about what autism really means. A new edition of the Diagnostic Statistical Manual (DSM) is coming out in May with changes to the definitions of certain disorders on the autism spectrum. There has been much talk about what this will mean to individuals and their families when it comes to obtaining a diagnosis and receiving services. During Autism Awareness Month, we would like to refocus the conversation on the individuals living with autism day-to-day and ask: “What’s Your Definition of Autism?” Tell us, what does the word “autism” really mean to you on a personal and individual level? You can join the conversation using the hashtag #AutismAware. The Christopher & Dana Reeve Foundation strives to provide access to life-changing programs to people currently living with paralysis. In 2012, the Reeve Foundation launched its national Peer & Family Support Program (PFSP) to provide critical emotional encouragement and resources to the paralysis community. The PFSP makes sure someone will be there to help in communities all across the United States. During the most scary and confusing times, the PFSP matches those living with paralysis, their families, friends, and caregivers to Peer Mentors — someone who has navigated through the same rough currents. By empowering people through experience, the mentoring program utilizes the real life experiences of those that are thriving while living with paralysis, in hopes that their hindsight can become someone else’s foresight. Contact a Reeve Certified Peer Mentor by visiting www.christopherreeve.org/peer. To speak to a peer mentor, or become one, please contact call the toll free number at 1-800-539-7309, email peer@ChristopherReeve.org or visit www.paralysis.org/peer. Children and Adults with Attention-Deficit/Hyperactivity Disorder (CHADD) is pleased to announce the 2013 Young Scientist Research Fund Awards, a program to recognize young researchers making contributions to the understanding of ADHD. The awards are currently being supported through a generous grant from Janssen Pharmaceuticals, Inc. and by a number of individual donations. Two awards will include an unrestricted cash prize of $5,000; recognition at CHADD’s 25th Annual International Conference, conference travel, registration and expense allowance; and a one-year professional membership to CHADD. Applicants must be in the process of completing a doctoral degree or have completed one within the last three years with the doctoral degree awarded no earlier than January 2010. Deadline for applications is May 15, 2013. For an application or for more information, go to www.chadd.org/youngscientist or send an email to youngscientist@chadd.org. The Tuberous Sclerosis Alliance will promote Tuberous Sclerosis Complex (TSC) Global Awareness Day on May 15 to help raise the visibility of TSC, with a goal help to individuals receive faster diagnoses, better testing and expanded clinical treatment options around the world. The TS Alliance will sponsor several events to mark the day here in the United States. An online awareness tool kit is available which features an audio PSA by Julianne Moore, a news release, sample Facebook/Twitter posts and facts about TSC. The page also includes an invitation to a Congressional Briefing on Capitol Hill, 12:00 to 1:30 pm. The TS Alliance will then host a reception from 4 to 7 pm for TSC community members and other supporters. To further its reach, TS Alliance President & CEO Kari Luther Rosbeck and CSO Steven L. Roberds, PhD, will also participate in a series of morning radio interviews to discuss TSC Global Awareness Day and the newly updated TSC diagnostic criteria. A social media campaign, called Where in the Word is TSC?, will be based at www.TSCGlobalDay.org. Participants will be encouraged to submit pictures, which will be promoted via social media to demonstrate the true world-wide impact of TSC.